Booklet. 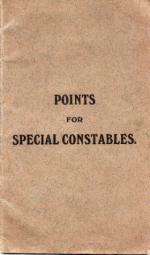 Special Constables were appointed to assist the Police in the execution of their duty, and had the same powers. The primary objects of the Police were the prevention of crime, the protection of life and property, and the preservation of peace, and, secondly, the detention of criminals. The Special Constabulary provided an opportunity to men who were past military age or were physically unfit to serve their country in a time when everyone was called upon to do his best. 16pp. 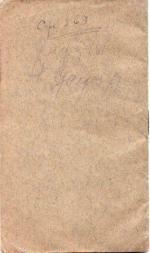 single staple booklet. With a small name/no. insc. to back cover together with some pencilling which I can't decipher it's so faint (see image) o/w Vg+ with no creasing to tears to covers. Extremely Scarce.